Acclaimed writer Steve Niles (30 Days of Night) joins distinctive painter Scott Hampton (BATMAN: NIGHT CRIES) for a 3-issue Prestige Format miniseries that uncovers the investigation of grisly murders outside Batmans usual territory…in the Gotham suburbs! 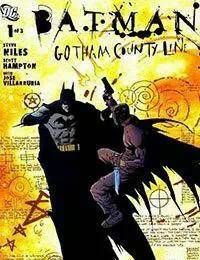 Commissioner Gordon calls on the Dark Knight for help in solving the mystery, although Batman has never delved into the suburbs of Gotham before. But the series of murders is so shocking that Batman must respond, despite being in unfamiliar territory!